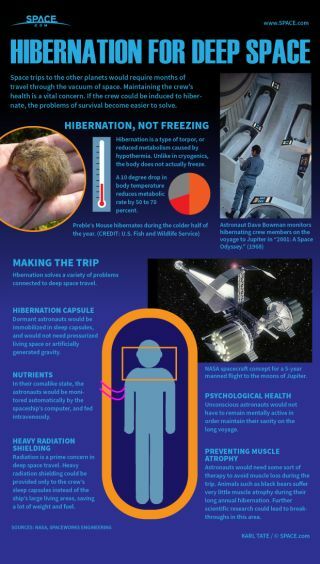 Scientists are hoping to induce an unconscious state in astronauts so that they can be stored in cold capsules for long space flights. Space trips to the other planets would require months of travel through the vacuum of space. Maintaining the crew’s health is a vital concern. If the crew could be induced to hibernate, the problems of survival become easier to solve.